My name is Dr. Daniel….Teeth Whitening Birmingham AL Dentist-thanks for coming to this website. Discover The Famous, Painless, & Affordable Smile Brightening Procedure That Works In Minutes! Plus Get A FREE Consultation! 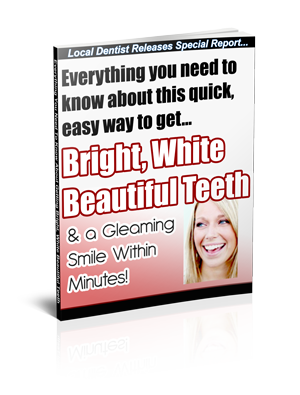 Get all the info you need about teeth whitening in the free report, plus look over the free consultation certificate. When you’re ready to come in for your free consultation, just give us a call! It’s that easy!